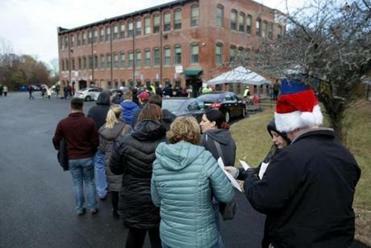 Customers line up outside ATG in Salem in December 2018. 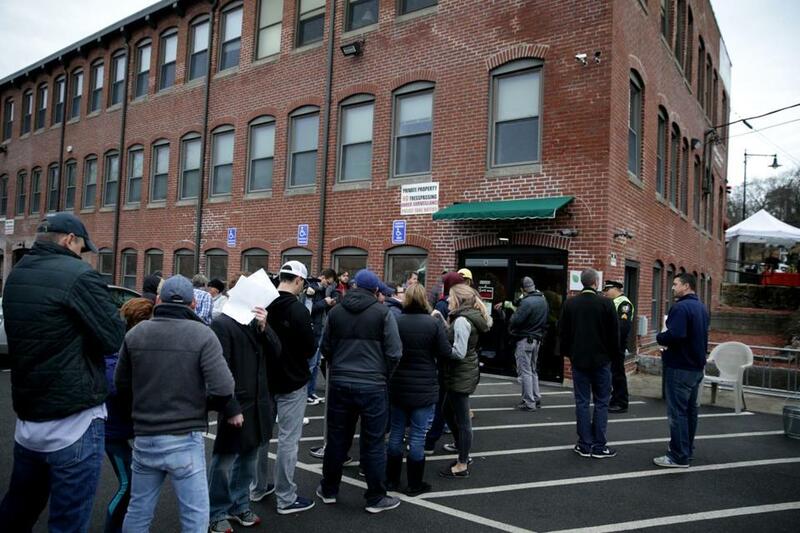 The state’s head cannabis regulator wants to set the record straight — a Salem marijuana dispensary that closed for recreational sales this week is not out of marijuana flower, as it claimed. The store simply recorded its inventory incorrectly. “It’s not a physical inventory issue. It’s literally a recording issue, and it’s a data-entry issue,” said Cannabis Control Commission Chairman Steven Hoffman, speaking to press after a commission meeting on Thursday. “I’m not going to get into who said what to whom, but the data was not entered correctly. I think it is easily fixable,” he said. Alternative Therapies Group in Salem closed for recreational sales on Wednesday, one day after saying it was “out of” marijuana flower, the green, leafy buds most commonly used for smoking. In an announcement posted to their website Tuesday, the dispensary cited a “technical glitch” with Metrc, a mandatory tracking system that requires establishments to log and trace all their inventory. Customers seeking to buy recreational marijuana products at a Salem dispensary are out of luck for now. The store said at the time that its data had been “corrupted in the state’s seed-to-sale tracking system,” and that the commission was working to fix it. Hoffman clarified that Thursday. He said the commission is working with ATG to fix the store’s recording problem, but emphasized that it wasn’t a problem with Metrc. To fix the issue, the dispensary will have to re-enter its inventory into the system, which is a time-consuming, but “straightforward fix,” Hoffman said. “We want them back in business as soon as possible,” he said. A representative from ATG has not returned multiple requests for comment this week. ATG’s announcement this week marks the first time any of the state’s nine recreational marijuana stores have stopped recreational sales after opening. The Salem dispensary is the only store that has reported having problems with the Metrc system, Hoffman said. “Metrc is working, in our opinion exactly, the way it should,” he said.